Visit the Wellow Village Website full of information about Wellow Village Nottinghamshire. White Horse Cottage is near to the centre of the world famous Sherwood Forest and the Major Oak. Walk through the forest and experience the Major Oak. Go in search of Robin Hood, visit the famous Major Oak and ancient forest. The rolling countryside all around is interspersed with traditional English villages offering a variety of walks and many cycling routes. there's plenty to see and do with the famous estates of Rufford and Clumber Park offering acres of space to enjoy walks and cycling. Fancy getting the adrenaline going then head to Sherwood Pines to take on the Go Ape 'High Wire' tree top adventure or experience the thrill of off road biking.Nottinghamshire is becoming famous for its locally produced food and cuisine, make the most of it and sample local produce at farmers markets or enjoy it at a variety of restaurants and pubs. There is a golf club and fishing lake next to the village to spend a relaxing afternoon. 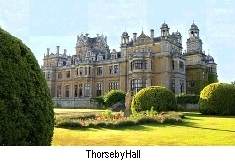 If you enjoy stately homes then you are spoilt for choice in Nottinghamshire with the impressive Thoresby Hall, Newstead Abbey, home of the famous poet Lord Byron and Hardwick Hall the former residence of Bess of Hardwick. Take time out to wander round the city of Nottingham to experience a vibrant atmosphere in one of the UKs top shopping destinations offering everything from individual shops to high street favourites, a variety of fine dining restaurants and eaterys as well as theatres make for a great night out. The market town of Newark is close by, famous for its antiques, Saturday market and old buildings.Why not take a boat trip along the River Trent and finish by relaxing in one of the river side cafes? The historic town of Southwell famous for its Bramley Apple, race course and Norman Minster is worthy of a visit. 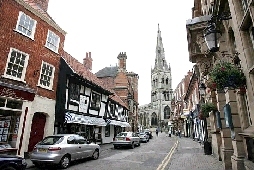 There are a variety of fine shops, tearooms and restaurants. Discover the array of old buildings, hidden alleyways, coaching inns and the Workhouse.